Early Zionism was a significant and glorious moment in Jewish history; a moment of dramatic epiphany fueled by self-loathing. The early Zionists promised to save the Jews from the Jew and to liberate the Jew from the Jews. 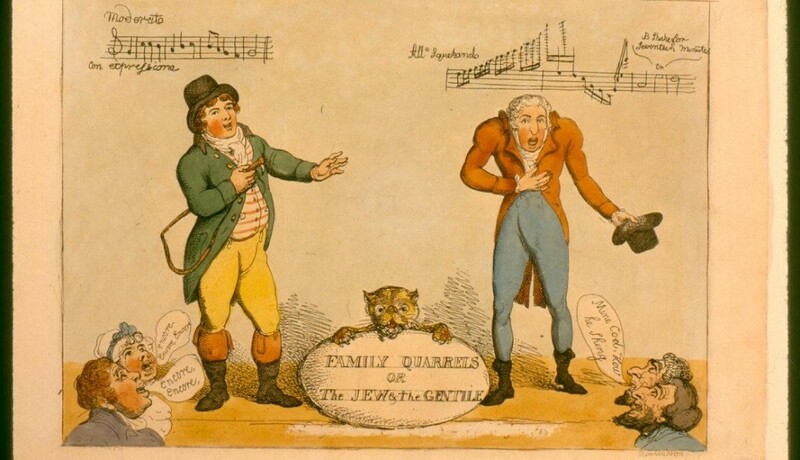 They were disgusted by the Diaspora non-proletarian urban Jewish culture which they regarded as parasitic. They promised to bond the new Hebrews with labour and soil. They were convinced that they could transform what they saw as a greedy capitalist into a new ‘Israelite hard working peasant.’ They believed that they could make the ‘international cosmopolitan’ into a nationalist patriot, they believed that they knew how to convert Soros into a kibbutznik: they were certain that it was within their capacity to make Alan Dershowitz into a Uri Avneri and Abe Foxman into a peacenik. They promised to make Jews into people like all other people while failing to realize that no other people really want to resemble others. Zionism has been successful on many fronts. It managed to form a Jewish state at the expense of the indigenous people of Palestine. The Jewish state is a wealthy ghetto and one which is internationally supported. But Israel is a state like no other. It is institutionally racist and murderous. It begs for American taxpayers’ money despite being filthy rich. Sadly, Zionism didn’t solve the Jewish problem, it just moved it to a new location. More significantly, not only did Zionism fail to heal the Jews as it had promised to do, it actually amplified the symptoms it had vowed to obliterate. Accordingly, the IHRA Working Definition of Antisemitsm should be regarded as a Zionist admission that the task of making Jews people like all other people has been a complete failure. No other people have so intensely and institutionally engaged in the suppression of other people’s freedom of speech. Jewish and Zionist bodies work openly and in concert to silence every possible criticism of their state. The real reason for the fight to make the IHRA definition law is that the Zionist position on antisemitism is indefensible. If the Jews need a special definition of hatred against them (as opposed to a definition of hatred that includes hatred of any people based on race or religion) it proves that, at least in the eyes of the Zionists who push for the definition, Jews are somehow different. In addition, and for quite some time, history laws and regimes of correctness have been employed to block our access to the Jewish past. 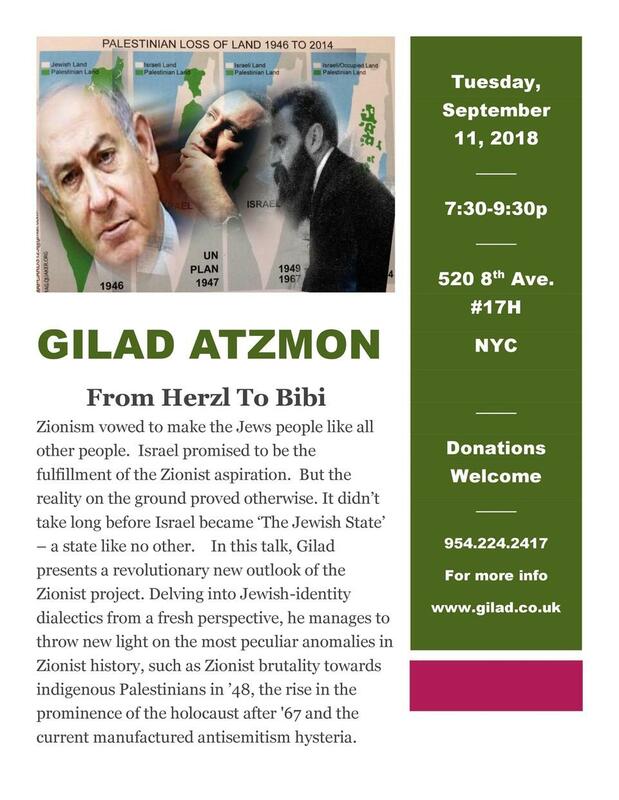 This is paradoxical given the fact that the Zionist project is a historically driven adventure: while Zionists often claim their right to self determination on their so-called ‘historical land,’ no one else is allowed to critically examine the Jewish historical past. The Jewish past is, instead, what Jews consider to be their past at a given moment, and as the Israeli historian Shlomo Sand suggests, this so called ‘narrative’ is often an ‘invention.’ No one is permitted to look into the validity of claims made about Jewish participation in the slave trade. Gentiles are not entitled to look into the role of Jewish Bolsheviks in some colossal communist crimes. The Nakba is legally isolated by walls of Israeli legislation. And it is axiomatic that no one may freely engage in critical thinking on any topic that is even tangentially related to the holocaust. For my suggestion that Jews should self reflect and attempt to understand what it was that led to the animosity against them in the 1930s, I am castigated by some Jewish ethnic activists as a holocaust denier. French philosopher Jean-Francois Lyotard taught us that history claims to tell us ‘what happened’ but in most cases it actually does the opposite: it is there to conceal our collective shame. To suppress their shame, Americans build holocaust museums in every American city rather than explore their own slave holding past. Rather than deal with their dark imperial history, the Brits allocated a large part of their Imperial Wars Museum to a Holocaust Memorial. Both American and British holocaust museums fail to address the shameful fact that both countries largely blocked their gates to European Jewish refugees fleeing the holocaust. According to Lyotard, the role of the true historian is to unveil the shame, removing layer after layer of suppression. This painful process is where history matures into ethical awareness. And then, there is no examination of responsibility for historical wrongs in the Zionist narrative, for the notion of shame, that instigated the Early Zionist ideology, is totally foreign to Zionist culture and politics. Israel not only couldn’t be bothered to build a Nakba museum: it does not even acknowledge the Nakba. Zionists didn’t express remorse that their Jewish state deployed snipers to hunt Palestinian protestors, killing hundreds and wounding thousands of them. Neither Zionists nor Israelis feel the need to find excuses for the fact that their laws are racist: Palestinian Israeli citizens are 7th class citizens and the rest of the Palestinians who live in Israeli controlled territories are locked up in open air prisons. Zionism doesn’t have to deal with shame because shame involves uncanny introspection, it entails humility, ordinariness. Unlike the Americans and the Brits who made other people’s suffering into their empathy pets, the Zionists, the Israelis and Jews in general are clearly happy to celebrate the primacy of Jewish suffering while making sure everyone else adheres to this principle. Zionism skillfully put into play the means that suppress criticism all together. But by doing so, Zionism essentially blinded its followers to its own crimes, and it put an end to the dream to become people like all other people. Although Zionism was an apparatus invented to fix the Jews, to make them ordinary, it had the opposite effect. It made it impossible for its followers to integrate into the rest of the nations as a people amongst people. While Zionism was born to obliterate choseness, as it was practiced it was hijacked by the most problematic form of Jewish exceptionalism. Interestingly enough, today, just ahead of the Jewish new year, Haaretz revealed that 56% of Israeli Jews see themselves as chosen. I guess the rest see themselves as exceptional. If some Zionists out there are still committed to the original Zionist dream, then owning the shame that is attached to the Zionist sin is probably the way forward. Because as things stand at the moment, the only public figure who insists upon seeing Jews as people like all other people and actually act upon it is, believe it or not, Jeremy Corbyn.